While you certainly could start a general website on “martial arts”, it's probably a better idea to narrow it down to a specific style (Muay Thai, Karate), target audience (kids, women), or reason for learning (fitness, self defense).When most people hear the words martial arts they think of Kung Fu movies and well-known artists like Bruce Lee or Jackie Chan. But martial arts is so much bigger and wide-spread than karate style movies, so let's dig in and find a website topic that would be great for an online business for you! More and more people are engaging in martial arts in some form or another. I know an instructor on the east coast that owns a training facility where he teaches people of all ages the martial art of Krav Maga, which was developed as a self-defense training for the IDF (Israeli Defense Forces). Techniques are derived from aikido, judo, Muay Thai, boxing and wrestling, along with realistic fight training. Krav Maga is just one of the current forms of self-defense martial arts people are learning today. But there are many other areas of this niche that will generate some huge profits for you. One must not forget all of the MMA (Mixed Martial Arts) sports that fall under the broad martial arts umbrella such as, Boxing, Brazilian Jiu-Jitsu, Judo, Karate, Kickboxing, Muay Thai, and Wrestling. Being that martial arts is practiced for a variety of reasons including self-defense, physical fitness, entertainment and competition, it will be necessary for you to narrow down this niche into a more focused sub niche that will lead to higher profits. To do this you will first need to decide which kind of martial art to promote and then dig down deeper to find that sub niche. One way to narrow down your niche is to focus on one aspect of the more-broader niche. For example in the graph above we see how popular boxing gloves are, each with slightly different styles which cater to the specific form of MMA. Another way to break down a niche is to focus on a particular type of popular martial art like Brazilian Jiu-Jitsu. But probably one of the most popular of all of the mixed martial arts is that of Muay Thai, which uses punches, kicks, knees and elbows in forming an attack. The interest in this particular kind of martial arts sub niche is strong, and has been creating a big buzz for almost 10 years. Promoting apparel, gear, and equipment in this category alone can be quite profitable. 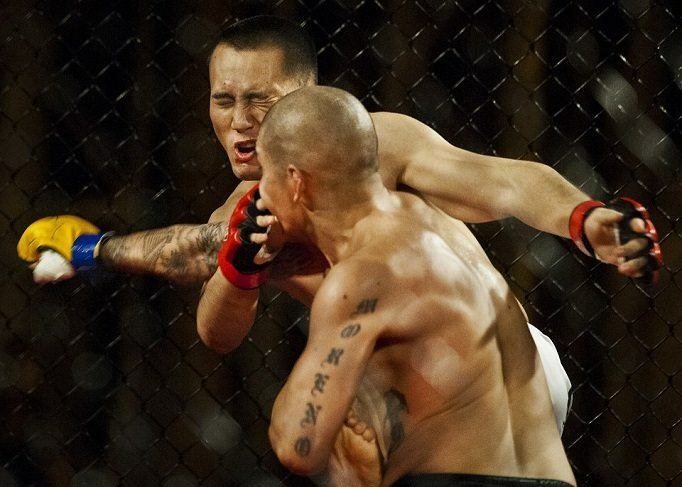 The most popular mixed martial arts competition is that of Muay Thai. Lots of money to be made here! There are just a ton of products you can promote in this niche, and once you narrow it down to your desired sub niche, you can have the beginnings of a profitable online business in martial arts. Creating content should not be a problem, especially when it comes to finding both high search and low competition keywords. I had no problems finding many of both. The only challenge you will face is finding a sub niche in this very broad category of martial arts. But no need to worry, in just a bit I will be offering you some help in that regards if you should need some guidance. But for now let me give you a list for some of the sub niches you could consider promoting to make some nice money in this popular niche. With this research into the martial arts affiliate niche, I knew going in that the hottest segment of martial arts comes from MMA (Mixed Martial Arts). The majority of martial arts affiliate programs cater to this segment. Fortunately I was able to gather an even mix of programs catering to both segments, general and mixed martial arts. This will give you a wide range of options to choose one or two programs to generate high profits in a popular niche market. The choices I made for the top three affiliate programs below cover all areas of martial arts, even certification for becoming a martial arts coach. Their websites are filled with all kinds of products that will be sought after from your website visitors and with a decent commission percentages across all programs, can generate nice monthly revenue for you. Especially with my number one selection below, you will be able to offer everything from apparel, accessories and equipment for men, women and kids as well as instructional DVDs and programs to more advanced items for those who compete in mixed martial arts. Though I found MMA dominated the affiliate program landscape, they all seem to provide a quality program. So here are my top three. Comments: Revgear was founded in 1996 by Paul Reavlin, and it is the leading innovator of martial arts equipment headquartered in Van Nuys, California. While training for his black belt, Paul grew frustrated with the existing training equipment on the market. Tired of false claims of quality and poorly designed products, he decided that creating a quality branded product line was the only alternative, and Revgear was born. I have chosen Revgear as my number 1 selection because of their extremely large inventory of apparel, gear, accessories, instruction, and equipment that meets the training needs into all forms of martial arts. In addition the Revgear affiliate program details, which are easy to find, offer an above average 45 day cookie. With their cutting edge technology in their products, Revgear is devoted to provide quality products for martial arts, boxing and fitness training. Comments: MMAWarehouse LLC, which was established in 2004, is one of the most trusted retailers in the mixed martial arts and Brazilian jiu-jitsu industry. Through their flagship websites, they curate merchandise from around the world, giving you the best selection and the best price. Their website provides detailed descriptions, photos, sizing charts and reviews so you can make an informed purchase. 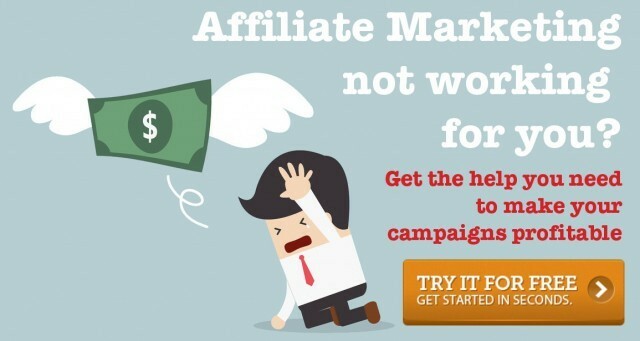 Because of these factors I have chosen this affiliate program as my number 2 selection. I found the MMAWarehouse website to be very user friendly and visually appealing. The display of all their products on their website is very informative with color availability and rating stars on the previews and full details inside the product descriptions. Finding the affiliate program details was very easy and with an average 10% commission, 30 day cookie, and large catalog of MMA merchandise, this will be a great program to join. Comments: As my number 3 selection I have chosen the Mixed Martial Arts Conditioning Association (MMACA), which was developed to bridge the gap between sports conditioning science, MMA training methods, and direct application from the ring, octagon, mat or cage. The MMACA is the Mixed Martial Arts certification division of NESTA (National Exercise & Sports Trainers Association). There are two reasons why I have chosen the MMACA as a top three selection. Unlike any other affiliate program here, this money making opportunity is based on the certification of becoming a conditioning coach and not just on apparel, gear and equipment like many others. Also because of the above average two-tiered commission structure and 90 day cookie. I feel this is a unique opportunity and a nice addition to consider. With the wide selection of different approaches one might take in tackling this niche of martial arts, remember that you want to focus in on one particular aspect of you selected sub niche. To do so you need to first determine what interests you the most and run with it. From just the research I have done above, I know how I would start my website in a style of martial arts that personally interests me. There is no denying when it comes to martial arts sports and competition, Muay Thai is one of the most popular. It also seems to be a type of martial art that immerses people. Some people travel to Thailand specifically for “real” training that you can find there. There are even travel packages you can pick up that include hotels, tours, and training sessions with world class trainers. I don't know if they have affiliate programs, but you could absolutely promote plane tickets to thailand, hotels or hostel stays, and other types of tours. Of course, regular items like protective gear, online training videos, and self-teaching tools would be part of my promotion as well. Since I'm a newbie, I would take the angle of “learn with me”, but if you are more familiar with this style of martial art you could write from the perspective of an expert. Thousands of people are into martial arts, both as spectators and those who actually participate. These people are going to need quality information on these products before they buy and that is the purpose of your website, to educate and help them to make an informed purchase. If you're feeling a bit overwhelmed by the idea of creating your first online business, don't stress. Get “zen” about it. Take a deep breath. This is a normal feeling to have when starting something new, plus, there's an easier way to learn how to create a successful affiliate marketing business. Everything you need access to for success is all in one place. This place is called Wealthy Affiliate (WA) and it is here that I have learned the majority of what I currently know today. One of the many great benefits of being a member of WA is that the training is up-to-date and evolves along with the world of online business. However, the biggest benefit of being a member is getting an answer to any question you ask in a very short period of time. Using live chat, you can get an instant answer, or you can post a question to the forum and peep out who answered your question next time you sign on. At Wealthy Affiliate you will get personal help from me and other members, as well as have access to hundreds of text and video training tutorials and live weekly webinar classes. You will have absolutely everything you need to build, grow and operate a thriving online affiliate marketing business from the comfort of your home including free website hosting, website security, and a proven business plan. Click the image below to create your FREE account and see what's inside the internets longest running online business community. Hi! 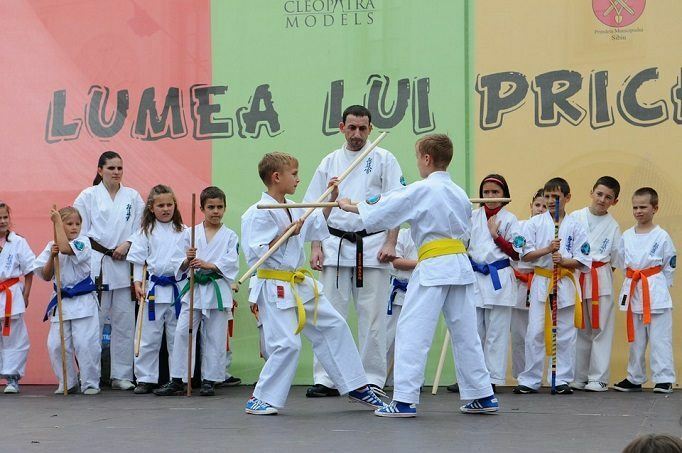 Thank you for sharing these great ideas with us because almost everyone would want to learn martial arts. Have a great day!